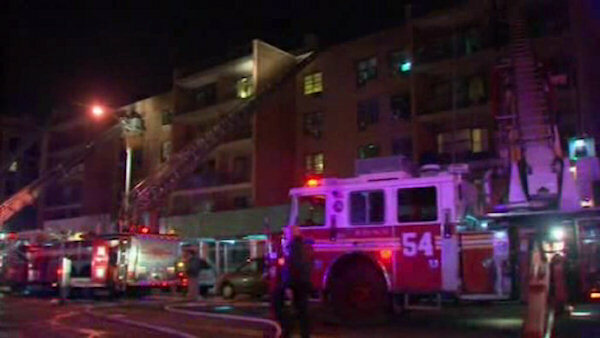 LONGWOOD (WABC) -- Five firefighters suffered minor injuries in a large fire in the Bronx Thursday night. The fire started around 8 p.m. in the five-story building on E. 163rd St. in Longwood section. Investigators say the fire started in between the top floor and the roof. More than 130 firefighters responded, and the fire took 45 minutes to extinguish. 15 to 20 people are displaced as a result of the fire.